Default SharePoint Lookup supports only lookup within the same site; hence lookup data from another site cannot be used. COVRI Cross-Site Lookup allows users to refer to a list from any site in site collection. 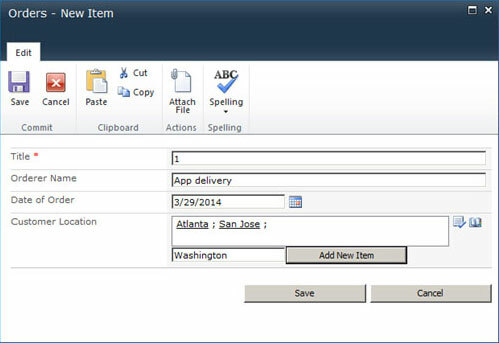 “Use filter by list view” option in column settings allows user to select some specific items (filtered by desired criteria). 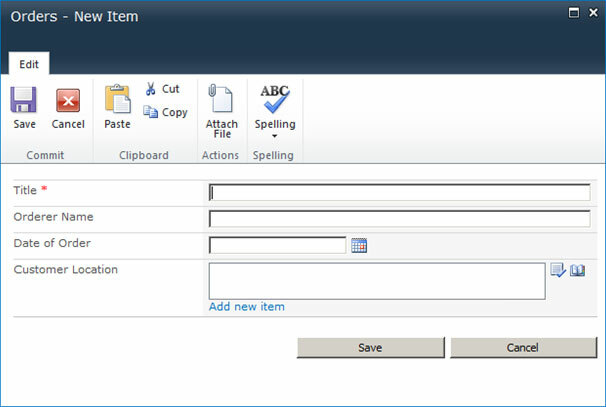 For Large lists search using standard SharePoint lookup is not very efficient and COVRI Cross-Site Lookup with Picker Dialog helps to resolve this issue. 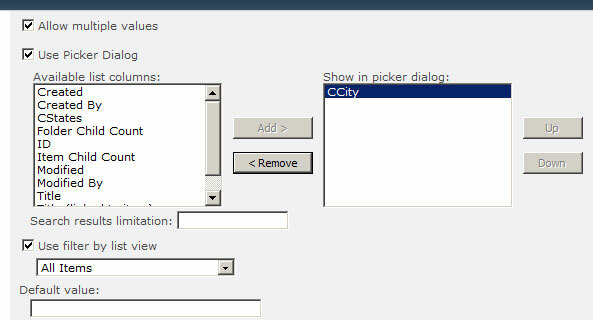 One can search/filter data in picker dialog and find the required item efficiently. 1. There is an Orders List with columns Name, Date of Order and Customer Location column which is a COVRI Cross-site Lookup column to City column is Cities List. 7. 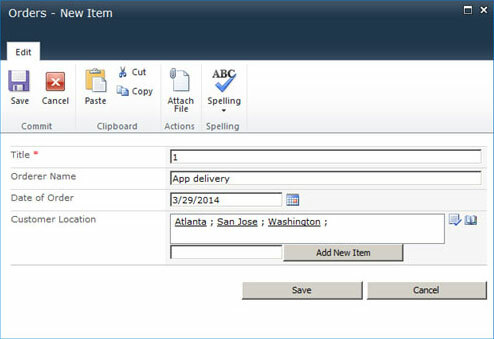 To retrieve item using picker dialog, click on the picker dialog icon as shown in Figure 7.0. 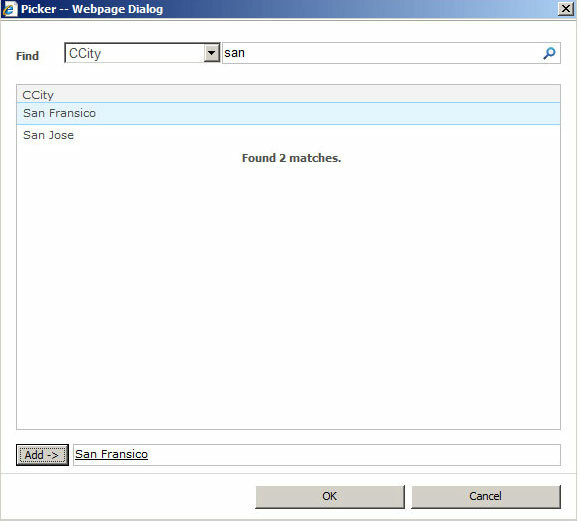 A new Dialog box open (Figure 7.1) with the field(s) set for picker dialog. 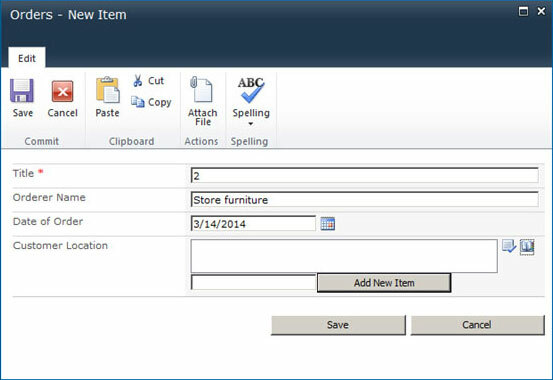 Enter a search key word for item and search. The search results retrieve items matching the keyword. Select the item and click on Add button. Finally click ok to add item to the list. Cross-Site Lookup Version 1.0 released on 28th March 2014.